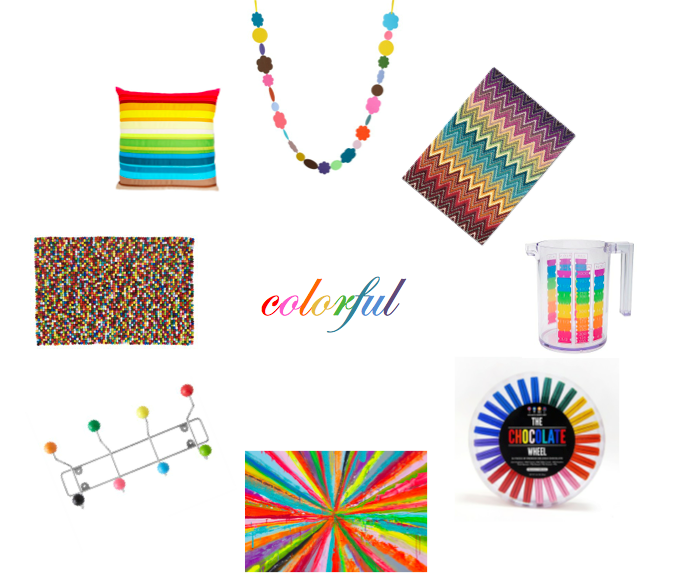 Color Friday is: Crazy Colorful! It’s hard for me not to do this post every week. And yet, when I do write this post it’s still hard. Not because finding gorgeous colorful things is difficult, but because my son is sitting by my side yelling things like “I WANT THAT ONE!” and “When I grow up I’m gonna be a chocolate maker and I’m gonna give everyone chocolate!” and “Can I have some chocolate now?” So there you go – everything featured on this week’s Color Friday passes the two year old seal of approval! I know I’m relieved. As per usual, here are eight sort-of-for-the-home things that I’m sure you’ll adore. My personal favorites are the garland, Missoni rug, and of course the chocolates (I’m a sucker for variety packs). 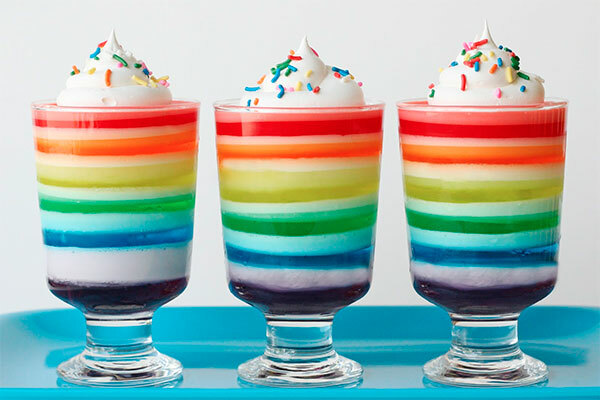 Enjoy your weekend, and if you find yourselves with some spare time and a significant abundance of Jell-o, you can find the recipe for those beautiful rainbow cups pictured at the top of the post here at Glorious Treats (which, of course, is where that lovely image is from). Happy Friday! ← Find of the Week: Bamboo Cutlery!